Founded in 1968, Rowland Design is a collection of architects, graphic and interior designers united by one goal: enhancing the lives of our clients. All of our work is rooted in collaboration: engaging client and designer closely in the design process. Rowland Design is certified as a Women’s Business Enterprise, and we are also certified as a small business by the Small Business Administration. Rowland Design’s office is staffed with designers and architects certified by the US National Green Building Council, the American Institute of Architects, the International Interior Design Association, the American Society of Interior Designers, the Society for Environmental Graphic Designers, the National Council for Interior Design Qualification, and several other national organizations. Rowland Design’s work has been recognized by the following organizations and publications: Contract magazine, the American Institute of Architects, the International Interior Design Association, Interior Design magazine, the International Facility Management Association, Associated Builders & Contractors, and more. Our primary goal as a design firm is to create spaces that fit your needs and exceed your expectations. We look forward to working with you. We provide Professional Residential Architectural Design-Engineering and consulting. With 30 years of hands on, and residential, commercial, design/build and engineering services. Historic period design and preservation, our plans are designed with our customers needs, as well as budget in mind, offering the most value for the dollar. Value engineered, aesthetically pleasing, the design is in the details. 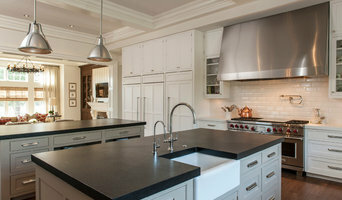 Demerly Architects is a full service architectural studio specializing in custom residential design. Founded in 1999 by Mark Demerly, we approach design as a collaborative project working with you to develop a design that fits your needs. Whether it’s new construction, remodeling, additions, or renovation of existing homes, our goal is to create a space uniquely designed for you. We will work with you through every stage of the process to make your dream a reality. Mike's passion for residential design- both new and historical and his desire to own a business, led him to open Palladian Designs, Inc. Since 1997, Palladian has been created with Mike's philosophy of design and service. We offer a variety of services to homeowners, builders and others in need of architectural design, drafting and blueprints. Give us a call today. How do I find the best Muncie architect for my home design project? It is best to hire a home architect who will be involved in all phases of the design process, from the initial concept to the completed construction. The architect is often the first person you will hire for your project. If necessary, they might also help you select and hire Indiana subcontractors, which can include the builders, engineers and landscaper. Interior architects are also involved in negotiating contracts for all involved participants. It is for these reasons that it is extremely important for you to have a good relationship with the Muncie residential architect you hire. He or she can be the tie-breaking vote between you and the general contractor and can be your biggest advocate during the construction process. Different architecture firms in Muncie, IN provide different services, so the scope of the work can span from pre-design environmental impact studies to selecting furniture and finishes, depending on what your specific needs are. It is very important to hire the right professional for the job. Remember that the most well-known or established designer might not provide the best architectural services for your needs. It all comes down to the individual project. Research and ask people whose work you like for recommendations. It's important to have somewhat of an idea of the style of house architecture that you prefer, as well as the amount you would like to spend. 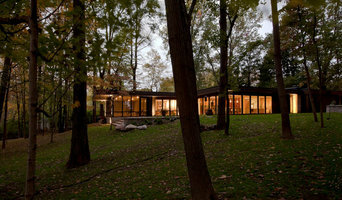 Residential architects in Muncie, IN are natural problem solvers. They will assess the entire situation and help you to solve your problems too. Don't settle for a single company too early. Call and interview a few. Make sure that you feel like your personalities will mesh well and that you like their professional perspective. 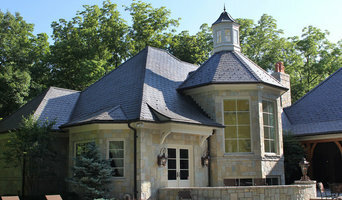 Find a home architect in Muncie, IN on Houzz. 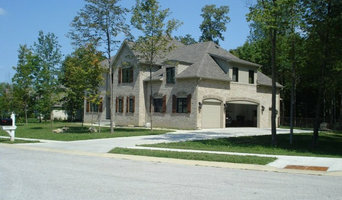 Narrow your search in the Professionals section of the website to Muncie architects. You may also look through photos of Indiana projects to find interior architects and building designers who have worked on a project similar to yours.